Just over 24 hours have been left before the start of new Premier League season on Friday night when Danny Rose’s interview for The Sun stirred up the transfer window chaos. The Tottenham left back’s frank interview hinted at the possibility of him playing for Manchester United. 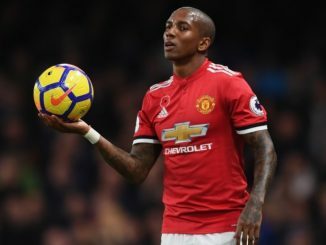 And though it is very easy to read too much into what footballers say these days, Rose’s openness and willingness to talk about a usually sensitive subject gives Man United fans reason to hope. “Time is running out and I do want to win trophies. I don’t want to play football for 15 years and not have one trophy or one medal. Sorry, that’s not what I am about”, said Rose regarding his future goals. His suggestion, though, feels like an urge for Tottenham to win silverware this season, as his side made huge improvements in recent years, yet failed to win a single trophy. Rose, aged 27, feels like time is running out for him. “I am reaching my peak and have probably only got one big contract left in me. I will say this too – I will play up north. I don’t know exactly when, but I will get back up north and play some football somewhere”, Rose said and an online salvo immediately started. Neville: What Was Rose Thinking? Among others, Gary Neville was criticizing Rose for the way he handled the situation of wanting to leave the club. But Manchester United fans have other thoughts on their minds. They are more concentrated of the possibility for Doncaster-born player to come and play for Red Devils. WTF is Danny Rose thinking!! “As a Tottenham player I’d love to see more signings. You look at Man City and think, ‘If the window shut now they would be happy with the business they have done.’ Man United, more or less, are there. Although I hear Mourinho may want one or two more players. But I am sure he’d be happy with his squad”, Spurs left-back said. How much chance is there for Rose to head to Old Trafford? After an interview like that from a player injured since January, it is easy to see Tottenham being unsatisfied, to say the least. Manchester United are in need of a left back, as Luke Shaw is not getting chances from Jose Mourinho and Mateo Darmian is not the best solution. He is a right back playing on the left and his lack of offensive prowess on the left side can make United less dangerous. United lack width on that left side and Rose would be a perfect solution in solving that problem. Rose was also part of the PFA Team of The Year for the last two seasons as the best left-back in the league and his reported wages are £65,000, something United could easily double or triple in order to lure him to Manchester. “One thing is for sure – I know my worth and I will make sure I get what I am worth. I am not playing as well as I have done not to get paid what I think I am worth”, said the left-back. 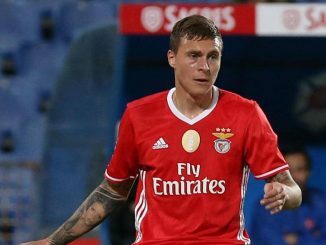 While the money would not be the problem for United, possibility of a swap from two teams would not hurt. Man United’s Luke Shaw is not getting any game and sending him towards player’s great admirer Mauricio Pochettino in order to sign Rose would not be a bad solution. Yet, it is all still hypothetical. Rose has spoken. 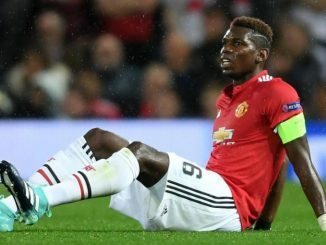 Now, with three weeks left before the transfer window closes, it is time for Manchester United’s representatives to lure him to Old Trafford. Clearly Danny Rose has an inflated opinion of his own ability and value. He is injury prone, past his best, and Spurs will sign a superior replacement. Whether Spurs will sanction a player + cash exchange deal with United, if they want him, remains to be seen. Rose is on contract and Spurs will not sell him on the cheap. Time will tell!